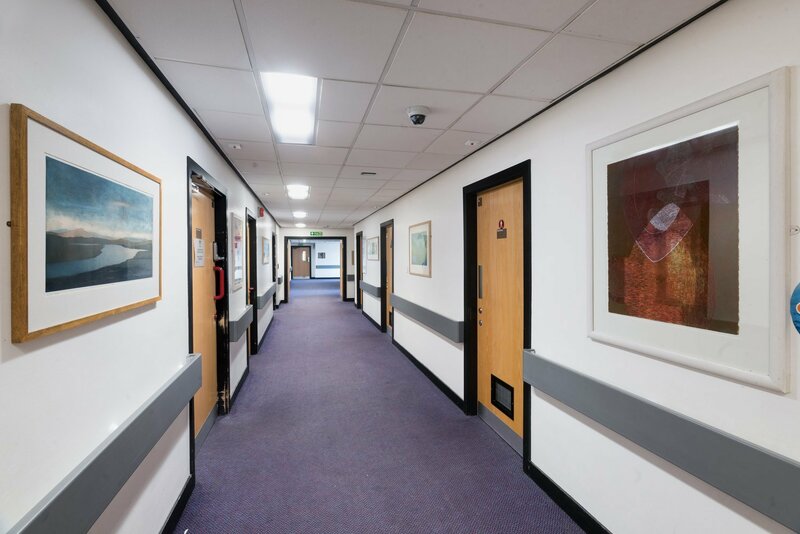 It was determined early in the selection process that the work for this ward should be bright and colourful to create a more vibrant atmosphere. 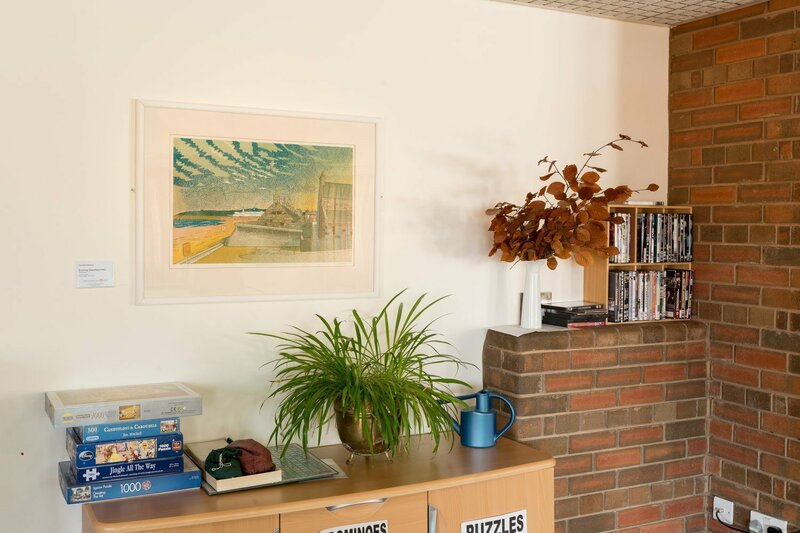 At the same time, we wanted to avoid artworks which were too vague and abstract as feedback from both staff and patients expressed that these works were more difficult to interpret. So we searched the GHAT Collection for the right pieces that had fairly neutral, soft focus subjects but contained images that were familiar and recognisable. As a result, we chose works mostly by artist Bob Batchelor whose screenprints feature swirls of saturated colour which flirt with abstraction but always return to identifiable floral forms. These works are energetic and yet calming and contributed to creating a positive tone within the environment. The other pieces selected had a landscape theme which again offered a sort of familiarity that the patients could engage with. Inside the patient lounge we hung “Evening Departure, Fittie” in an area near some patient artwork which prompted a discussion among them about various regions of coastline and the memories and inspiration behind their own art.